Where I’m At; a monthly update of what I’ve been up to, site news, and where I’m going next. The month began in Bangkok where I ended up spending three weeks. I soon fell into a regular rhythm or work, meeting up with friends who live there, and eating my favourite Thai foods. I make a point to go and exploring different neighbourhoods in Bangkok whenever possible. 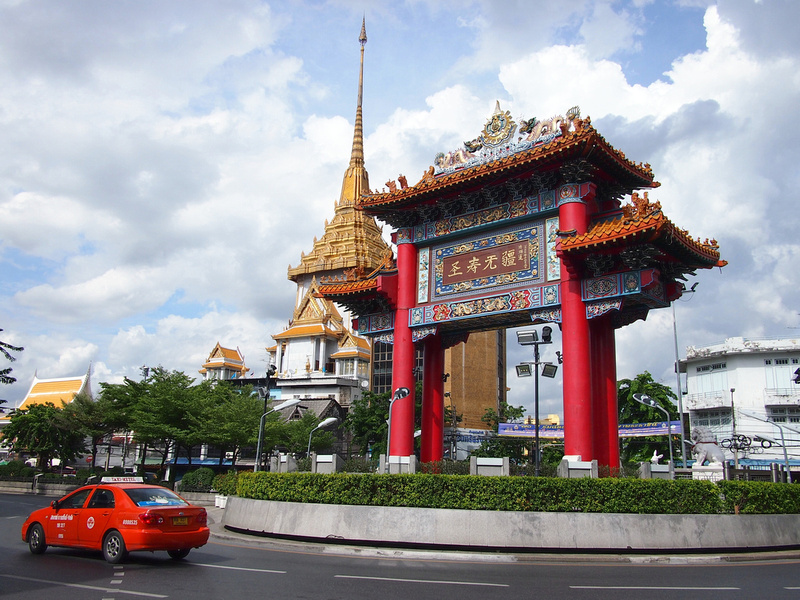 I revisited Chinatown, which remains as one of my favourite areas in Bangkok. I recently published an article on train travel in Southeast Asia. while researching this article I discovered that there is a new “grand central station” being built in Bangkok (Bang Sue Central) which will become the biggest train station in Southeast Asia. That’s not much of a claim to fame given its competition, but it will have over 20 platforms, so it’s going to be big. 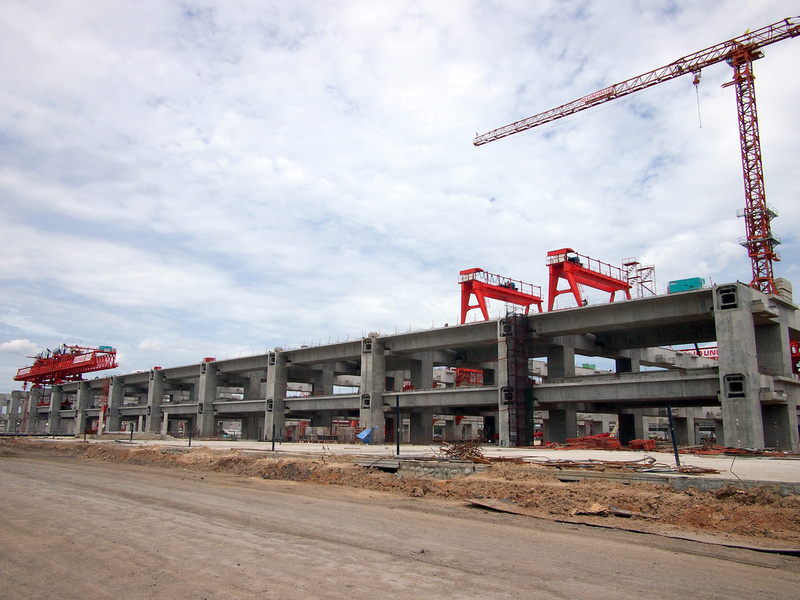 I went to the current Bang Sue station and you can see the construction going on next door. I have a blog post about trains coming soon. 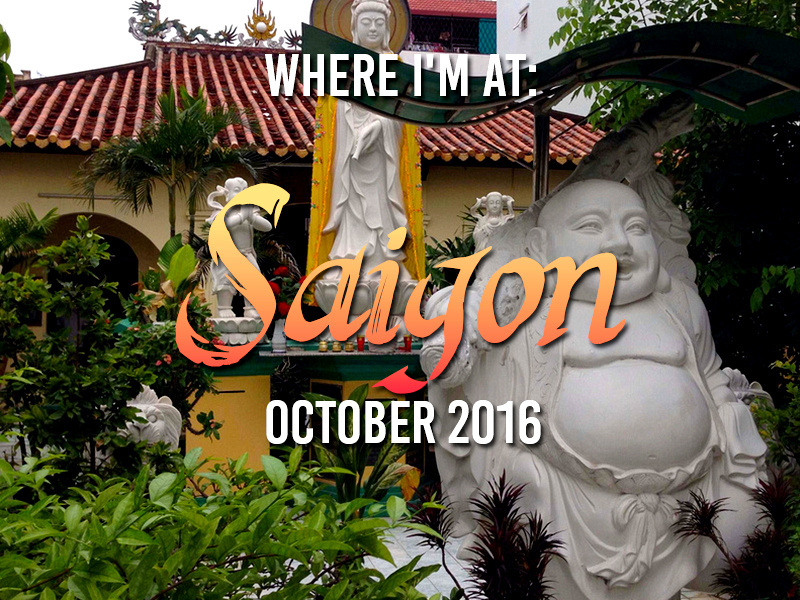 I returned to Saigon, and after a night staying in the backpacker area I found a new apartment. During my time here I’ve met lots of people who have also called Saigon home, or at least base themselves here. One of those people is Mark from Rusty Compass. He’s a fellow Australian who runs a Vietnam/Laos/Cambodia travel guide. If you are Googling for travel information in this region the chances are you’ve seen the site. In addition to running a travel website he has now opened a cafe in Saigon. This opened while I was away so I was curious to check it out when I got back. It seemed like a bold move to open a cafe in a city with already thousands of cafes, and having no experience in running a cafe seemed to double-down on the boldness. I visited the cafe to have my welcome back Vietnamese iced coffee and was immediately impressed with the place. The Old Compass Cafe is set in a 60’s apartment block and the cafe interior has been tastefully decorated to suit the building. There always great music playing (mellow alternative rock/ alt-country from the 90’s always seems to be on when I’m there) and it’s the sort of place where you meet other interesting characters who have been travelling for a while. And most importantly the coffee is great. 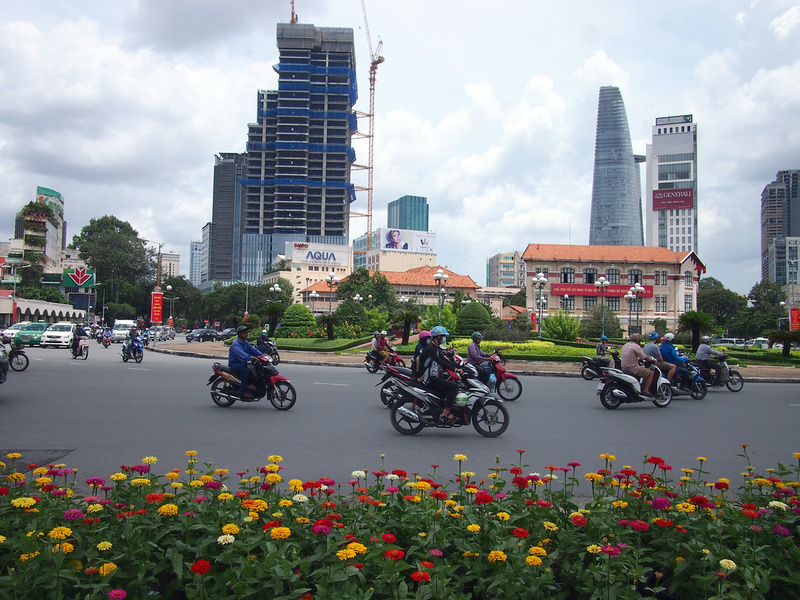 I wrote a post almost two years ago about the changing face of Saigon which needs an update. I’ve been collecting more photos of the city with that in mind. The roundabout at the central market place (Ben Thanh) will become a massive construction site this month with the metro construction. When it’s finished this site will be pedestrian zone with three metro lines converging underneath. For now though it is going to be a hole in the ground for a couple of years. Soi Ngam Dupli – The old backpacker neighbourhood of Bangkok – While I was in Bangkok I ended up staying for two weeks in the old backpacker area. I stayed in a few different places, including the Malaysia Hotel, which was one of the original hotels recommended in the first Lonely Planet guide, in 1973. Hope you’re getting lots of awesome work done in Saigon … need to return there soon!